Maybe it's time for you to design the kitchen of your dreams. CVCT can help you find every single option you could want, and will give you straight, full-project pricing. 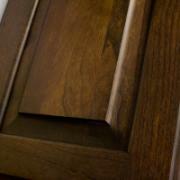 These are some of the options that customers choose when designing a high-end kitchen. Fashion Rustic Cherry with full-body glaze. Featuring an over-the-sink valance and staggered height upper cabinets. Includes side-mount soft close drawer guides and plywood dovetail drawer boxes. All the bells and whistles here!!! 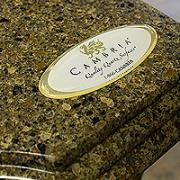 3CM Cambria quartz countertops with any standard edge, 4" backsplash, and undermount sinkhole. 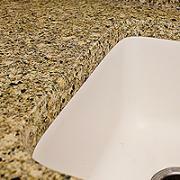 Integrated solid surface double-basin sink.